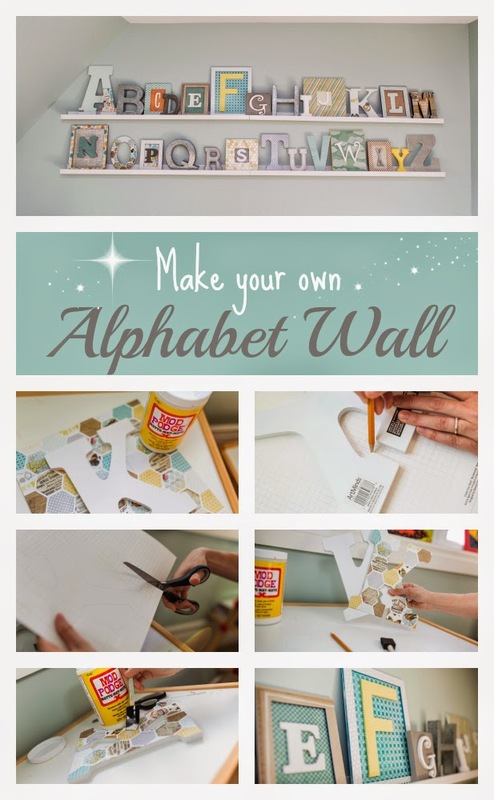 Smocks and Sprinkles: A is for Awesome Alphabet Wall! 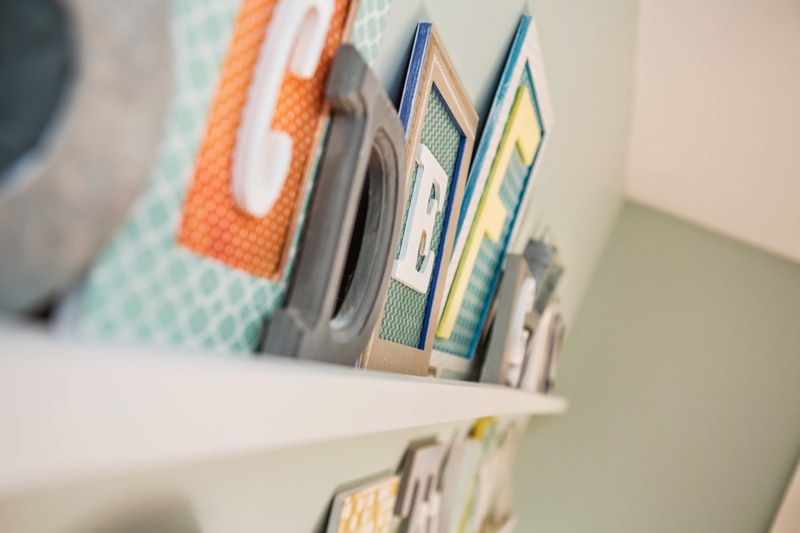 Educational, fun and aesthetically pleasing...an alphabet wall is the perfect decor for any playroom, nursery or kids room. I have gotten loads of compliments on the DIY alphabet wall in our playroom so I thought I would share it with all of you. You can purchase already decorated sets of alphabet letters but they tend to be quite pricey. I found it cheaper and more satisfying to do it myself. I hunted down alphabet letters obsessively. I found them at the dollar store, Michaels (take advantage of weekly coupons! ), Walmart and Pottery Barn (at 70% off!). 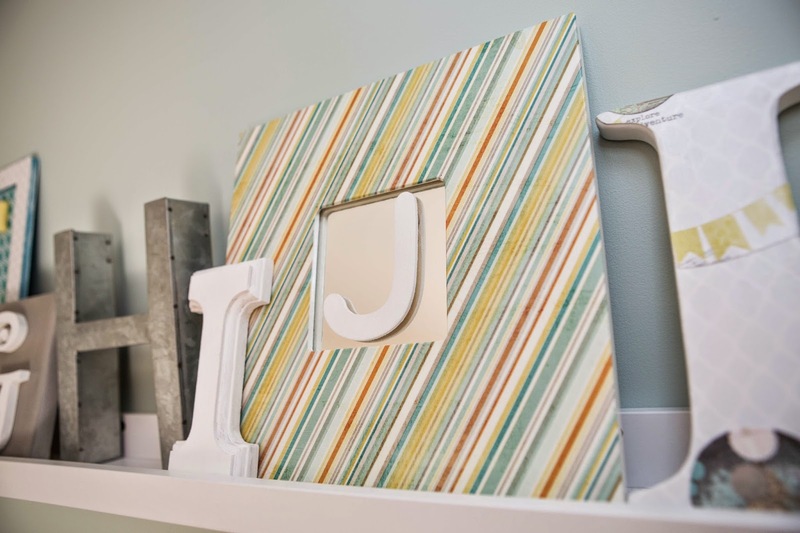 You will want different sizes and styles to create a whimsical and fun display. Don't worry if the surface of the letters are scratched up because you'll be covering them up anyway. When displaying your letters, try not to have similar style letters beside each other. To display smaller letters, I backed them up in dollar store frames (just remove the glass front), stretched canvas and even used one of those cheap wooden Ikea mirrors. You will need scrapbook paper with coordinating prints and colours. The easiest thing to do is to purchase a book of coordinating pages...Homesense and Winners always have packs of coordinating paper on sale. Pick colours that compliment the theme of the room. You will also need a couple colours of coordinating acrylic paint (I used yellow, white and gray). Tip! 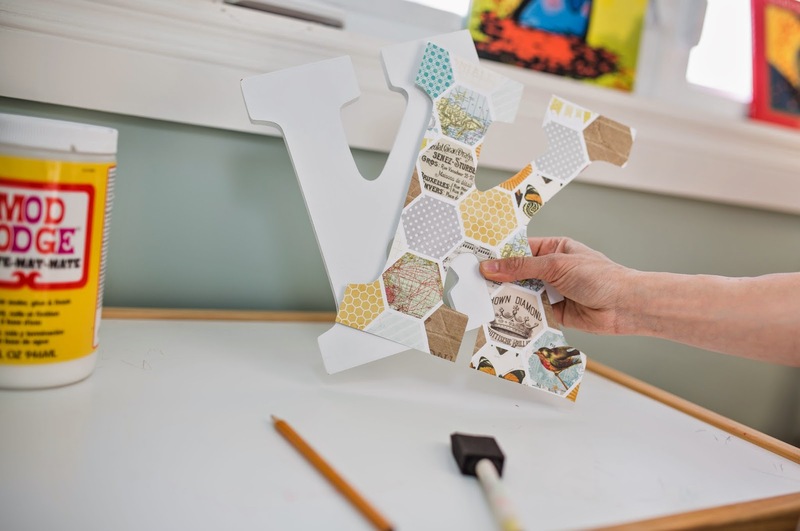 Make your own letters using foam board. Letters with straight edges are easiest to cut out with using a straight edge and an exacto knife. 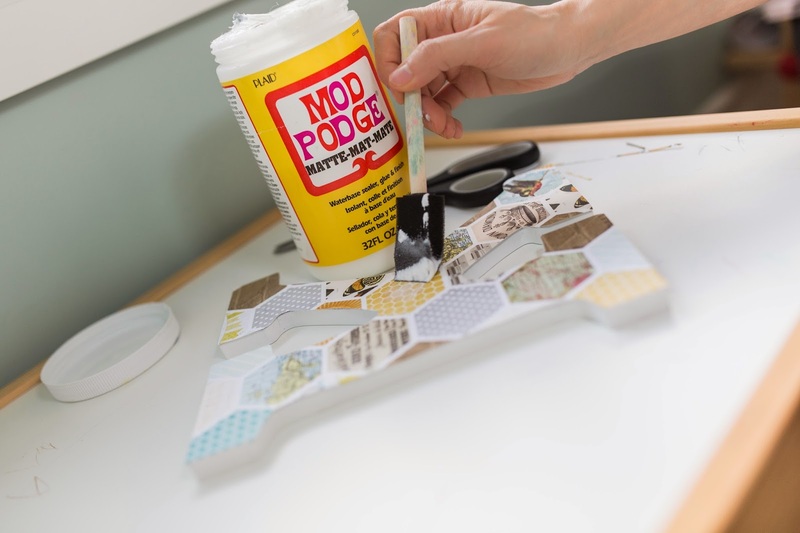 Cover the letter with a thin fabric and Mod Podge. Attach onto a frame. Step 1: If needed paint around edge of letter and let dry. Step 2: Place letter face down onto back of scrapbook paper. Trace around letter with a pencil. Cut out letter. 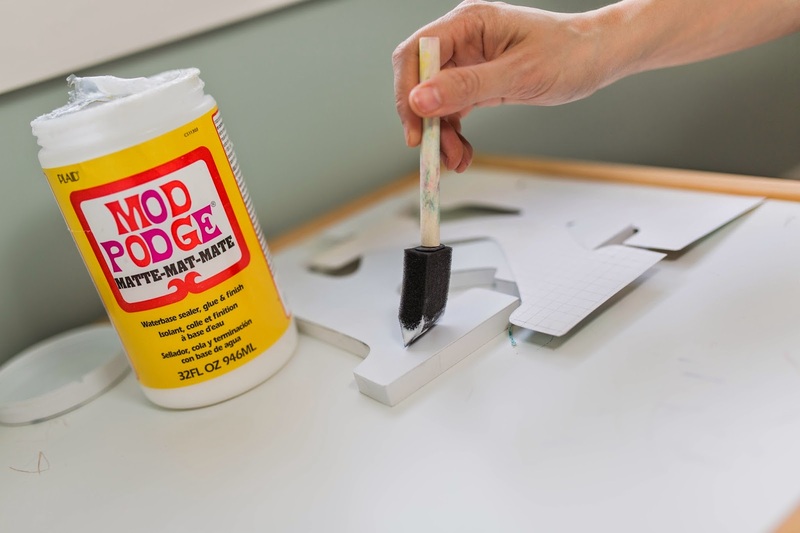 Step 3: Apply thin layer of Mod Podge using a sponge brush onto front of wooden letter. Step 4: Position paper onto letter. Carefully match up edges. 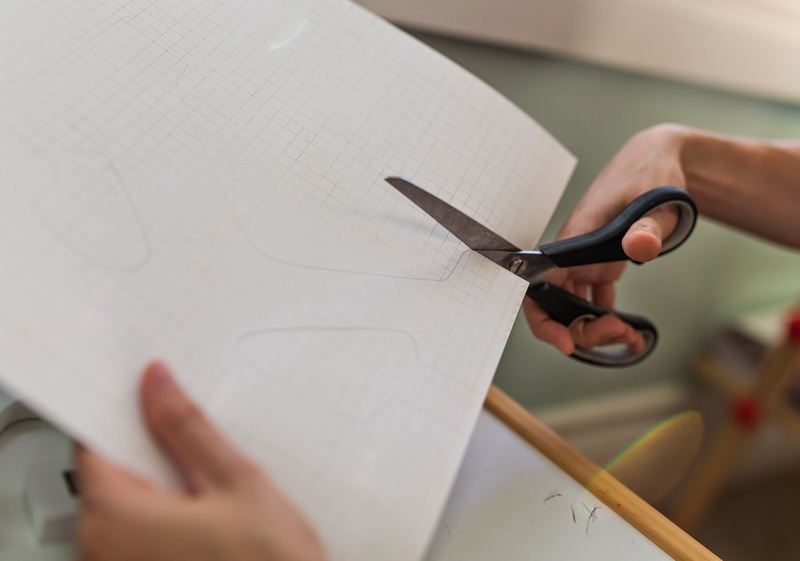 Smooth out paper working from the inside out towards the edges to get rid of any bubbling. Let dry. 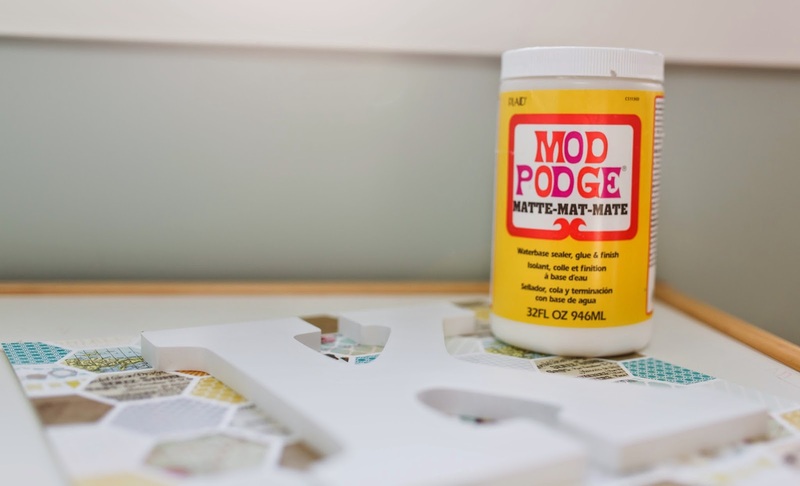 Step 5: Apply coat of Mod Podge over entire letter. Let dry and add a second coat. 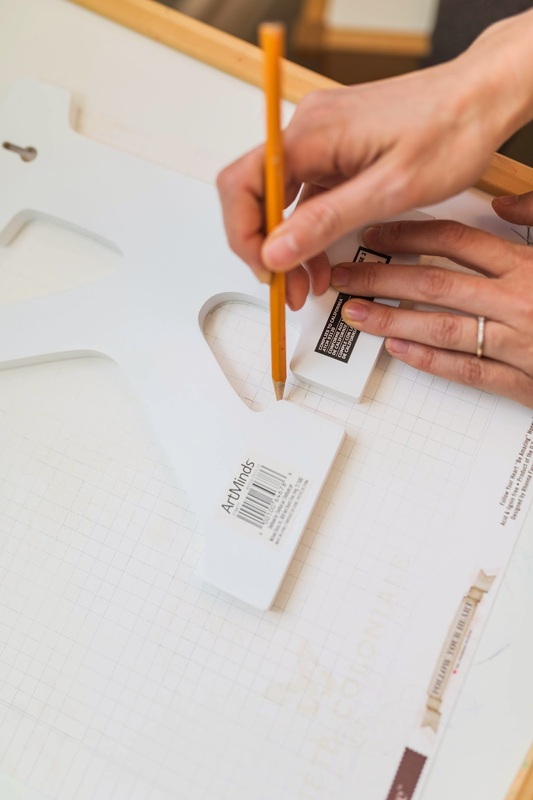 *This same technique applies to the frames and stretched canvas. 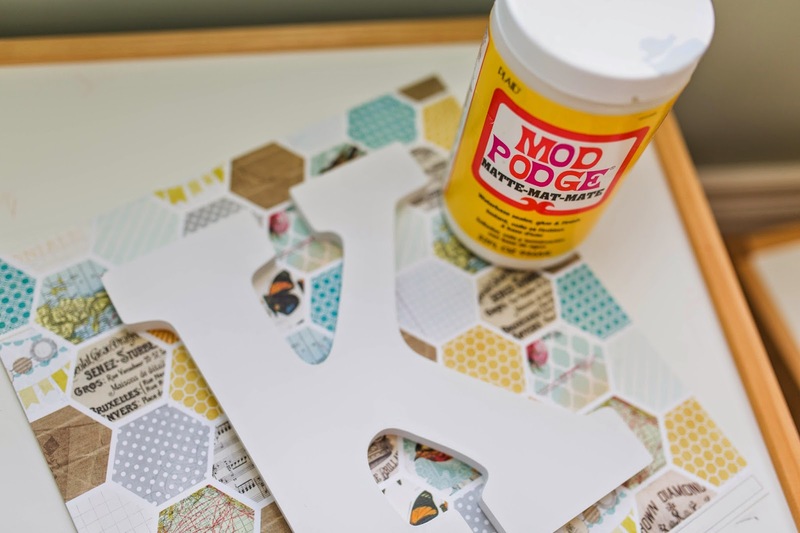 use a round clock or mod podge a plastic plate for the letter "O"
Tip! Use picture shelves (Ikea Ribba shelves work beautifully) to avoid making 26+ holes in your wall. 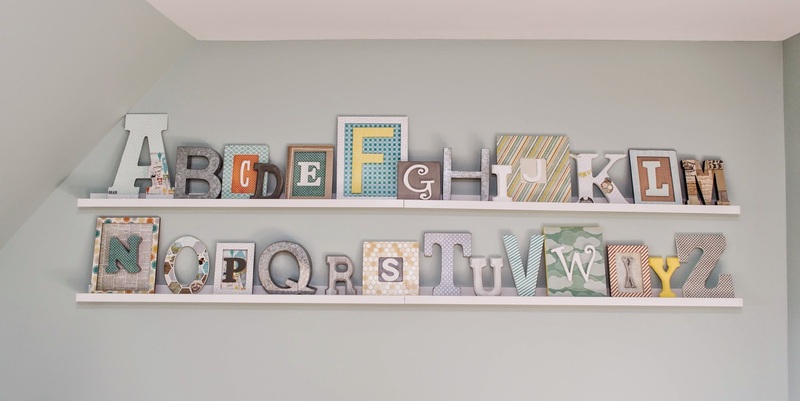 Simply put the letters on the shelves and lean them onto the wall. You can also have fun spelling out words with your kids. We plan on swapping the letters with framed family pictures when the kids outgrow the alphabet to create a gallery wall. 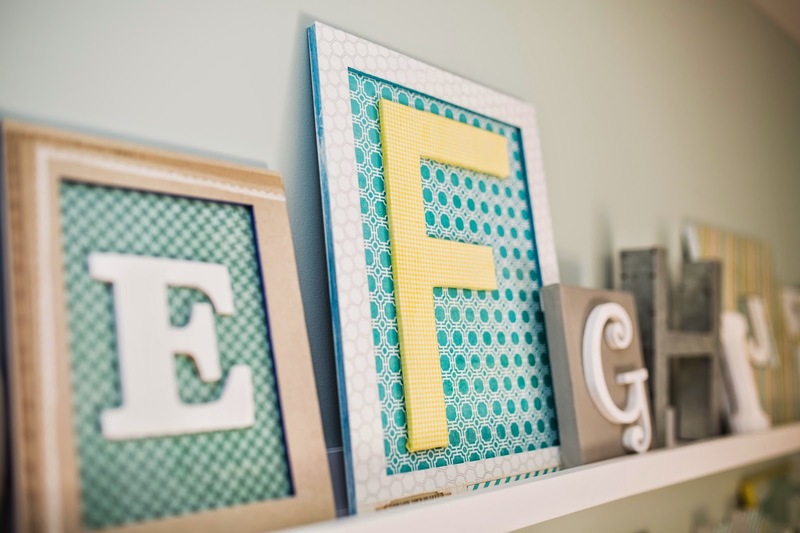 Do you have an alphabet wall? Please share with us below! I love this idea, so amazing! 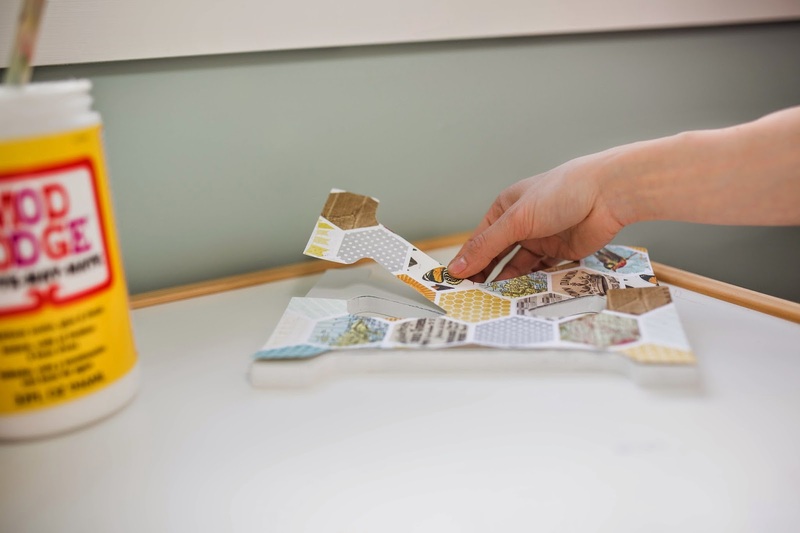 It looks fantastic and a great learning tool as well. I love that the letters aren't matchy matchy. So great! Can you tell me where you got the shelves? Thanks!